THE UNIQUE MIRROR DESIGN - Make you standout from the crowd. The use of innovative, non-metallic coating technology, not only offers a brilliant color effect, but also reflect our environmental credentials and helps promote a green & healthy lifestyle. 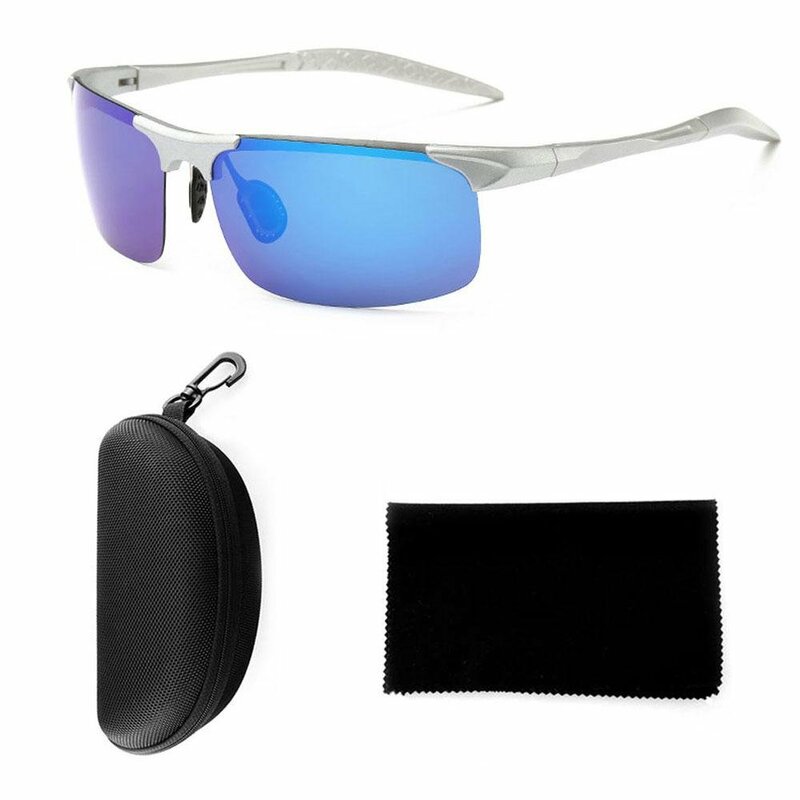 INTEGRATED POLARIZED LENSES -Effectively prevent the dizziness, and are highly resistant to impact cracks. Integrated lenses are more suitable for wearing in high-impact sports activities. EXCELLENT WEARING COMFOR - The nose pad and the temple can be adjusted and suitable for most face shapes. The design of ostiole will give you long-lasting fog-free vision. FULL PROTECTION FOR THE EYES - Integrated UV protection particles with the integrated polarized lenses to prevent the film from peeling off. Meanwhile, added two layers of water and oil- proof coating , thus protecting the lenses from sweat or raindrop splashes. LIFETIME WARRANTY - We are extremely proud and confident in our product and, subsequently, provide a lifetime warranty for every user. We hope to provide you with reassurance and reliability for eternity. Teepao multifunctional sunglasses is customized for running, cycling, motorcycling, hiking, fishing, night driving, rock climbing, baseball, golfing and other outdoor activities. Why Aolvo Sunglasses is Your Best Choice?